All employers paying wages subject to withholding are required to withhold state income tax from wages earned by resident employees within the state and from wages earned by nonresident employees in the state. 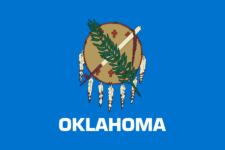 If an Oklahoma resident earns wages outside the state subject to another jurisdiction's withholding, Oklahoma withholding is not required. Never forget to file OK WTH 10001 again.